In the early 1990’s, Superior Wisconsin resident Vincent Beaton had an idea… He didn’t think it was right that police officers or firefighters had to die in the line of duty to be recognized as heroes. In 1919, his father, Finlay Beaton, a Superior Police Officer, was killed in the line of duty. Vincent mentioned his idea to then Superior Mayor, Herb Bergson, who contacted state lawmakers, and in 1995, the State of Wisconsin Fire and Police Hall of Fame became a reality. In 1998, the first formal induction ceremony was held in Superior, with Finlay Beaton being the first inductee. Since then, there have been 38 firefighters and 20 law enforcement officers inducted into the Hall of Fame. The inductees from all across the state of Wisconsin are honored with a banquet and ceremony where many have shared their stories of heroism or achievement. 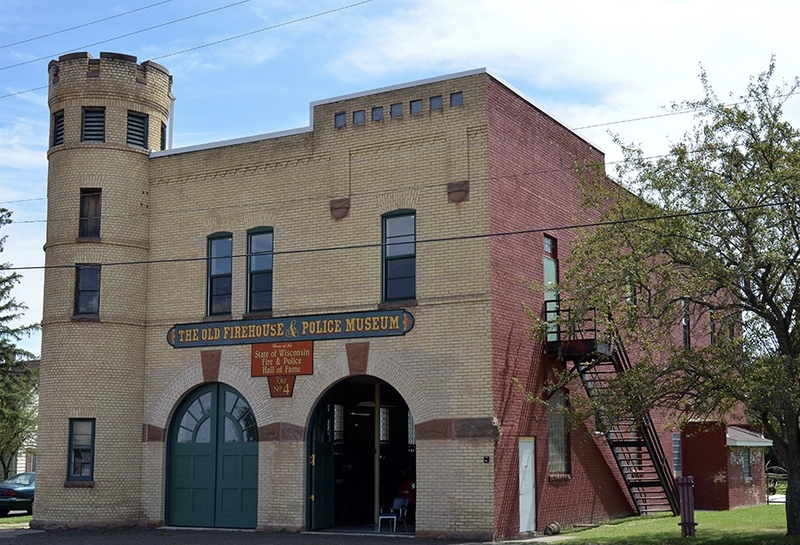 The State of Wisconsin Fire and Police Hall of Fame is located at the Old Firehouse and Police Museum, at 402 23rd Ave E, in Superior, Wisconsin. The museum and Hall of Fame have free admission, and are open seasonally to the public.